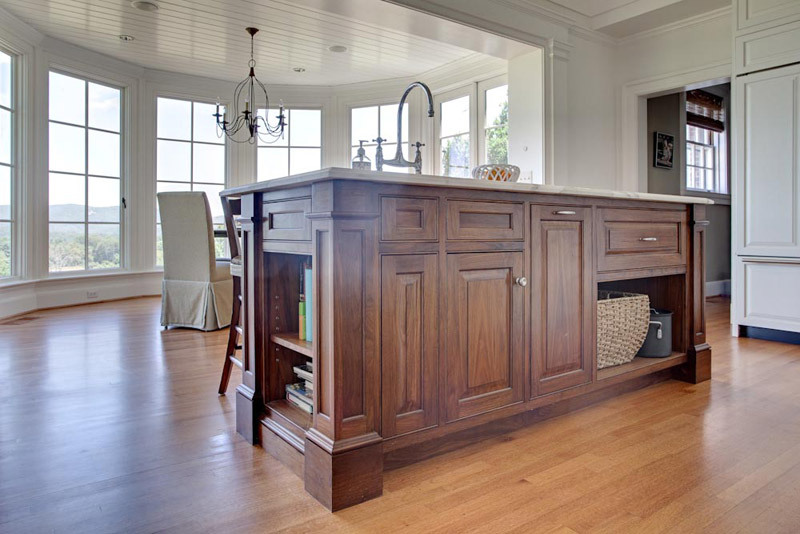 This walnut island has ample storage and display areas with seating on the far side. 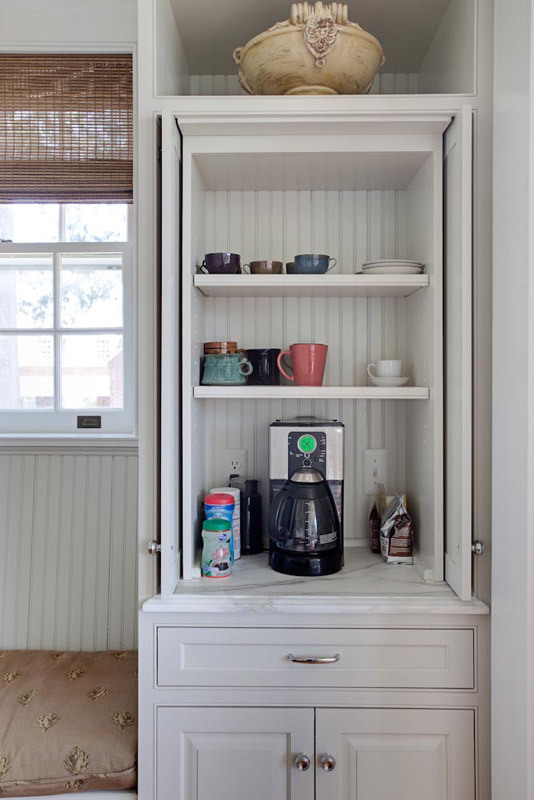 The coffee station is conveniently beside a window seat with doors that can be closed for a more formal look. 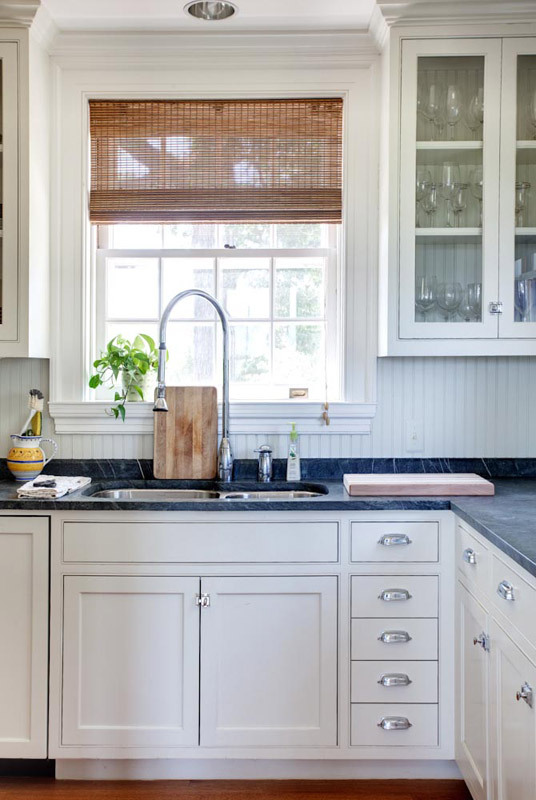 A clean up sink with a dishwasher to the left.